Speak to our Bone Health Consultants! Please Tell Us About Your Experience With Your AlgaeCal Products! If you’re reviewing AlgaeCal Plus, Strontium Boost, or both: Please tell us about what brought you here today. For example, how you found out about your bone loss, what that experience was like, how you went about trying to improve your bone health, and the improvements you’ve seen on your most recent DEXA scan (bone density scan). Speak from the heart! Feel free to share details like your percentage increase, your T-scores, your emotions and more. Please make sure you are in a well-lit room, 2-3 feet away from your computer. If you’re filming on your phone, be sure to have the phone horizontal, not vertical. This way your video appears in a landscape format so we can clearly see you and enjoy your video! Click on the green “Record Your Video Online” button below and you’ll be taken to a page where you can record your video automatically. When your done, you just need to click one more button and your video file will be sent straight to us. Easy! Due to legislation by the FDA, only drugs and medicine can legally claim that they can treat or cure a disease, even on customer testimonials. Avoid mentioning name-brand drugs such as Fosamax or Prolia. Avoid mentioning the disease name, such as osteoporosis or osteopenia. For instance, you could say “severe (or troubling) bone loss” instead. If you would like to mention how poor your condition was prior to taking AlgaeCal, you can express that by mentioning your T-score or how poor your bone density was. Avoid the following words in your evaluation of AlgaeCal in relation to osteoporosis: cure, reverse, heal, mend, fix, remedy, treat. We understand that these rules seem unusual, but all this is to avoid legal complications arising from the new legislation from the FDA. By submitting your testimonial to AlgaeCal you acknowledge and consent to any form of editing that may occur and its use on the AlgaeCal.com website, newsletters, and any other promotional materials. Don’t Want To Use Our Video Recording Software? FREE shipping & handling worldwide for all orders. They are shipped within 1-2 business days (Monday to Friday), excluding major holidays. 7+ Bottles UPS Ground/FedEX Ground "
*Shipping method and delivery time vary depending on order size, weight and shipping address. Please contact an AlgaeCal Customer Representative at 1-877-785-6580 to get more information. Important Notice: For all international orders, applicable duties, value added taxes (VAT) or import consumption taxes may be required upon delivery. Express delivery options are available in selected countries for an additional fee. Please contact an AlgaeCal Customer Representative for more information. You can also contact us toll free at 1-877-785-6580 (USA/Canada) or directly +1-510-564-7192 (Int'l). Alternatively email us at [email protected] and we would be happy to assist you. To check the status of your order, please use the tracking number included in your shipping confirmation email. This email could have been sent to a different folder within your email account so please ensure to check other folders. You can also contact us toll free at 1-877-785-6580 (USA/Canada) or directly +1-510-564-7192 (Int’l). Alternatively email us at [email protected] and we would be happy to assist you. Important Notice: Packages returned without an RMA number won’t be accepted so please make sure to get one before sending it back. Return postage is the responsibility of the customer. AlgaeCal stand behind our service, our customers and the quality of our products. We guarantee our products to be free of defects and will accept any defective item for refund or exchange. We will gladly refund your original shipping cost if you are returning an item because of an error on our part or a defective product. We will always do our best to accommodate your concern as efficiently as possible. 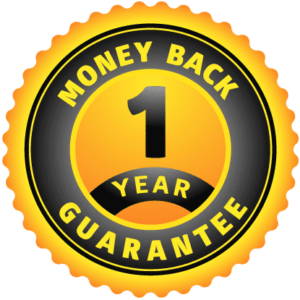 Our 1 Year Money Back Guarantee either leaves you 100% satisfied, or you get your money back. Period. That’s why we give you a full year to test drive our products and superior service! If you need anything at all please call our customer service toll free at 1-877-785-6580. Stronger Bones for 7 Years Guarantee: When you follow directions for use of AlgaeCal Plus and Strontium Boost –we guarantee you will see increased bone density in EVERY follow-up DEXA scan you have while using these 2 products –or we will refund every penny you paid for our products between your scans. This guarantee extends to every scan you have for the next 7 years! To find out more about this guarantee, contact 1-877-785-6580. The informational materials on www.algaecal.com are provided “as is” and without warranties. Before using this website, you must agree to the following terms. Don’t use our website if you disagree with any of the following terms. Use of this website, or participation in any activities mentioned, means that you agree to be legally bound by these terms. The website’s content is not a substitute for professional medical care. None of the information (including products and services) mentioned at www.algaecal.com should be used without clearance from your physician or health care provider. We are not medical professionals. There may be risks associated with participating in activities mentioned on www.algaecal.com for people in poor health or with pre-existing physical or mental health conditions. If you choose to participate, you do so of your own free will and assume all risks associated with such activities. Facts and information are believed to be accurate at the time they were placed in www.algaecal.com. All data provided in this website is to be used for information purposes only. Products and services described are only offered in jurisdictions where they may be legally offered. You agree to hold www.algaecal.com, its owners, and employees harmless from all liability for damage claims due to injuries, including attorney fees and costs, incurred by you, arising out of any information or products discussed on this website. Testimonials, case studies, and examples found at www.algaecal.com have been sent to us by users of AlgaeCal. Every person has unique experiences, varying lifestyle habits, and chooses to use the information in a different way. Thus, the experiences from testimonials may not reflect the typical purchaser’s experience and are not intended to guarantee that anyone will achieve the same results. If you have any questions about these disclaimers or about case studies and/or testimonials found at www.algaecal.com, please send an e-mail to [email protected]. This Health Disclaimers were last updated on 01-26-2017. This site is owned and operated by AlgaeCal Inc. Your privacy on the Internet is of the utmost importance to us. At www.AlgaeCal.com, we want to make your experience online satisfying and safe. Information www.AlgaeCal.com gathers through aggregated tracking information derived mainly by tallying page views throughout our sites. This information allows us to better tailor our content to readers’ needs and to help our advertisers and sponsors better understand the demographics of our audience. Because www.AlgaeCal.com derives its revenue mainly from sponsorships and advertising, providing such aggregated demographic data is essential to keeping our service free to users. Under no circumstances does www.AlgaeCal.com divulge any information about an individual user to a third party. We will offer a free electronic newsletter to users. www.AlgaeCal.com gathers the email addresses of users who voluntarily subscribe. Users may remove themselves from this mailing list by following the link provided in every newsletter that points users to the subscription management page. Users can also subscribe to the newsletters at the time of registration. We may offer interactive polls to users so they can easily share their opinions with other users and see what our audience thinks about important issues. Opinions or other responses to polls are aggregated and are not identifiable to any particular user. www.AlgaeCal.com may use a system to “tag” users after they have voted, so they can vote only once on a particular question. This tag is not correlated with information about individual users. www.AlgaeCal.com may occasionally conduct user surveys to better target our content to our audience. We sometimes share the aggregated demographic information in these surveys with our sponsors, advertisers and partners. We never share any of this information about specific individuals with any third party. www.AlgaeCal.com tracks user traffic patterns throughout all of our sites. However, we do not correlate this information with data about individual users. www.AlgaeCal.com does break down overall usage statistics according to a user’s domain name, browser type, and MIME type by reading this information from the browser string (information contained in every user’s browser). www.AlgaeCal.com sometimes tracks and catalogs the search terms that users enter in our Search function, but this tracking is never associated with individual users. We use tracking information to determine which areas of our sites users like and don’t like based on traffic to those areas. We do not track what individual users read, but rather how well each page performs overall. This helps us continue to build a better service for you. www.AlgaeCal.com uses any information voluntarily given by our users to enhance their experience in our network of sites, whether to provide interactive or personalized elements on the sites or to better prepare future content based on the interests of our users. As stated above, we use information that users voluntarily provide in order to send out electronic newsletters and to enable users to participate in polls, surveys, message boards, and forums. We send out newsletters to subscribers on a regular schedule (depending on the newsletter), and occasionally send out special editions when we think subscribers might be particularly interested in something we are doing. www.AlgaeCal.com never shares newsletter mailing lists with any third parties, including advertisers, sponsors or partners. www.AlgaeCal.com creates aggregate reports on user demographics and traffic patterns for advertisers, sponsors and partners. This allows our advertisers to advertise more effectively, and allows our users to receive advertisements that are pertinent to their needs. Because we don’t track the usage patterns of individual users, an advertiser or sponsor will never know that a specific user clicked their ad. We will not disclose any information about any individual user except to comply with applicable law or valid legal process or to protect the personal safety of our users or the public. www.AlgaeCal.com uses the above-described information to tailor our content to suit your needs and help our advertisers better understand our audience’s demographics. This is essential to keeping our service free. We will not share information about individual users with any third party, except to comply with applicable law or valid legal process or to protect the personal safety of our users or the public. www.AlgaeCal.com operates secure data networks protected by industry standard firewall and password protection systems. Our security and privacy policies are periodically reviewed and enhanced as necessary and only authorized individuals have access to the information provided by our customers. Email: [email protected] - Don't hesitate to say hello if there is anything you need help with! If you need anything at all, please call our customer service toll free at 1-877-785-6580.